Stillpoint’s riders and trainers include Oded Shimoni, Robert Dover, Susie Dutta, and Tuny Page. Stillpoint welcomes our riders to bring in their own private trainers. 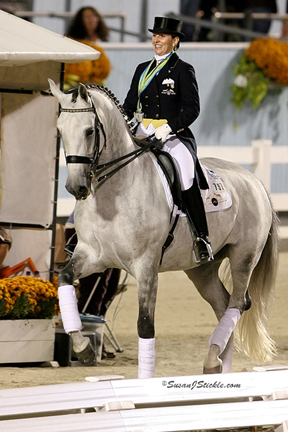 Susie Dutta is an international dressage rider who has been in the winner’s circle for over a decade. Susie commutes between Germany and Florida, training out of Tuny Page’s Stillpoint Farm while in Florida. Susie has trained with some of the world’s top dressage masters including Rudolph Zeilinger, Klaus Balkenhol, George Theodorscu, Robert Dover and Dennis Callin. Susie and her husband, Tim, have put together a series of top dressage competition horses and are continually developing young horses. Susie is very focused and committed, as she knows what it takes to compete on the international dressage circuit. 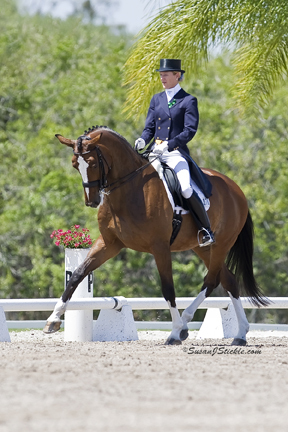 Tuny Page is one of the United States’ top Dressage riders, competing at the international level. She has had numerous wins in the FEI Grand Prix arena, which has earned her a ranking among the world’s best. Tuny thrives in the training atmosphere of Stillpoint. She has enjoyed a consistent connection with both Robert Dover and Oded Shimoni throughout her dressage career. Tuny has also capitalized on training opportunities with Klaus Balkenhol, Kyra Kyrkland, and Hubertus Schmidt. In 2006 Tuny was the US Freestyle Champion and the US Representative to the FEI World Cup. Tuny was also an alternate to the 2006 World Equestrian Games Team and in 2007 was the US representative at CHIO Aachen. Tuny serves the dressage community on the USET Foundation Board of Trustees and the USEF High Performance and Active Athlete Committee.